Cavy Angel's Guinea Pig Rescue regularly has unneeded and new cages available to purchase through the shelter. All funds go directly to the care of the animals at the shelter. If you are interested in any of the cages below please contact Monique at monique-am2pm@hotmail.com Or phone 0423238449. 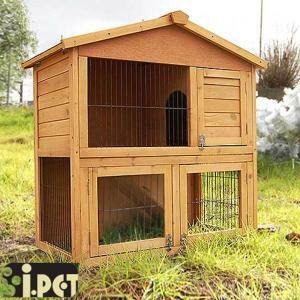 2 Story guinea pig hutch with weather-proof roofing. 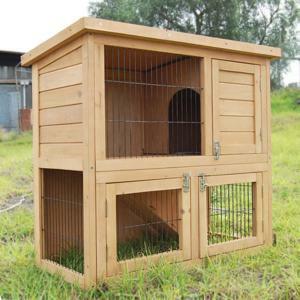 It has an open floor which allows your guinea pig/s to graze and run without hurting their feet. Two levels are linked with a robust and foldable ramp access. The foldable ramp allows you to keep the pet in either floor and for easy cleaning. It also has three accessible doors and a hinged lid. The green Asphalt roof provides a rain and sun heat protection.